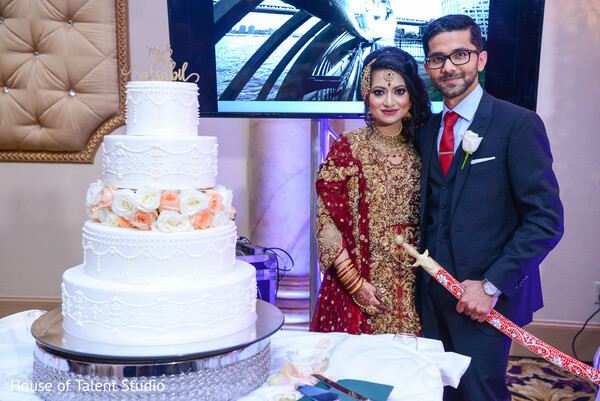 The once in a lifetime event deserved an equally memorable feast, therefore, Mia and Yaser picked the Lucien's Manor to celebrate their joining. 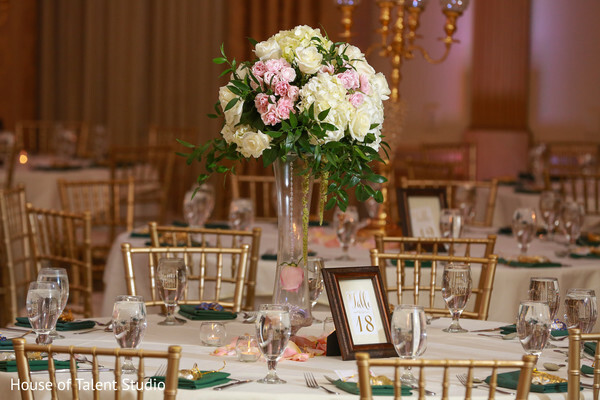 The palatial architecture of this luxurious landmark perfectly integrated the lush décor that Kaotic Soundz designed for the soiree. 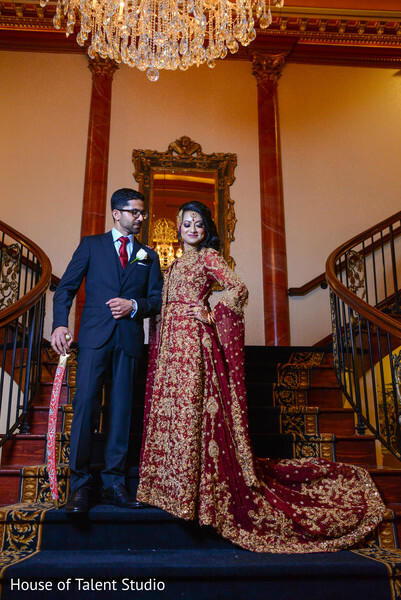 The marvelous staircase was the perfect spot for a breathtaking entry and served as a set for an elegant photo shoot by the photo team of House of Talent Studio. 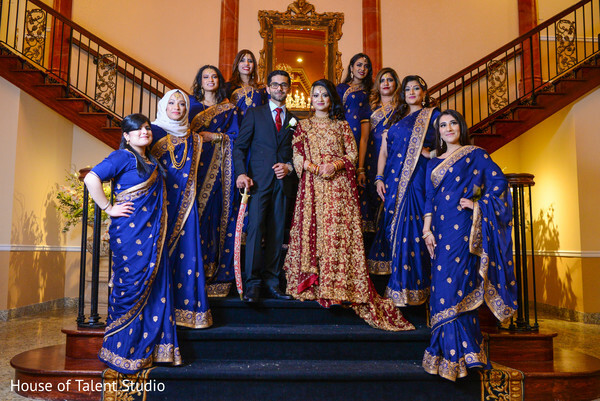 Mia was the perfect looking bride with a gorgeous poofy hairdo created by Bridal Rang by Samiha and was joined by her squad who also looked amazing in navy blue! 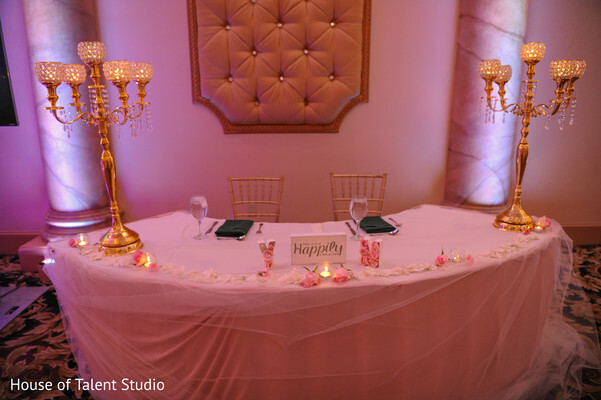 Inside Out Booth’s photo booth gave each attendee a fun memory to take home while the music of Kaotic Soundz’ DJ provided more indelible moments at the dance floor! 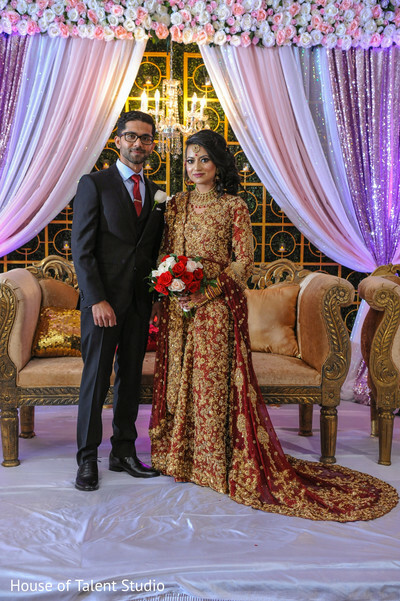 Manisha Rawal worked along with the venue’s wedding planning personnel to make sure these two had the ultimate Pakistani wedding reception! What a great combination! 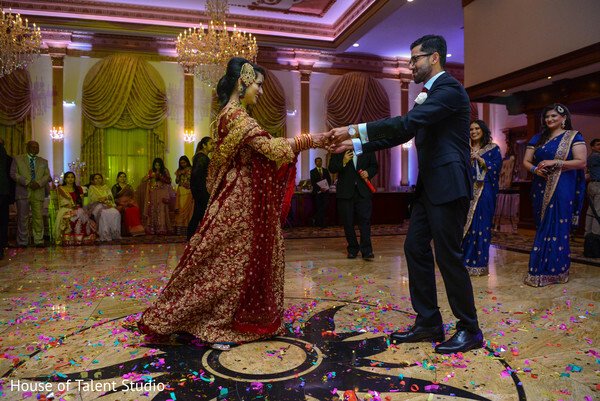 Don’t forget to visit our complete gallery! 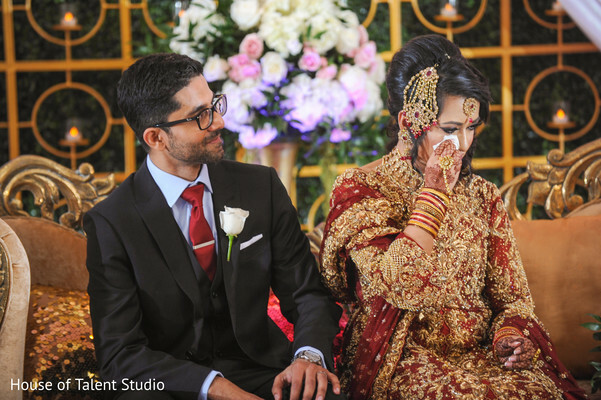 There is nothing better than watching a lovely couple embarked in a new marriage journey! 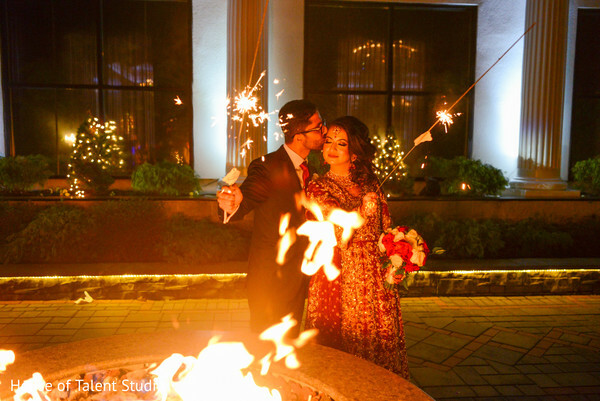 See you tomorrow for more bright wedding stories.